Gearing up fro Go Blog Social! 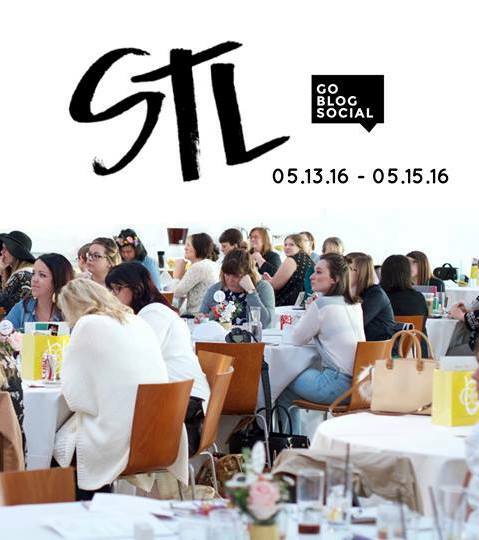 I am beyond excited to be attending the Go Blog Social in St. Louis this weekend! A while back I decided to look up different blogging conferences in my area in hopes to network, meet fellow St. Louis Bloggers and obtain a lot of new knowledge. This conference really stood out to me so I got myself a ticket and as tomorrow approaches I am becoming a tad bit nervous. This is the FIRST conference I have ever been to. I can't wait to meet so many new and interesting people, also it is scaring the pants off of me. I am raiding my closet trying to find the PERFECT outfit to wear, which is way easier said than done. Also I am going through the list of other events associated with the conference and wanting to do them all. What should I expect from a Blogger Conference?! What have your experiences been going to a Conference like this?! This Mother's Day was by far one of the best yet. It was the first year with both boys, making it absolutely perfect! We started our morning with the Mother's Day 5K! My Mom and I ran while my Dad watched with the boys while Andrew worked. After the race we went back to my parent's for some breakfast casseroles, which were yummy! The rest of the day we spent at home hanging out. Andrew BBQ'd for me that night for dinner, which was also very yummy! Once the boys went to bed Andrew and I relaxed, drank some wine (& beer for him) and watched Joy! All in all it was the PERFECT Mother's Day. I am beyond lucky to have my boys spoil me, which they tend to do on more days than just Mother's Day! Okay, so I have been wanting to make these pancakes for a while now. I made them earlier this week and man were they a hit. Not only did I devour them, so did both boys! Oliver ate two of them and Charlie had a whole one himself. I topped mine with some Sunflower Butter, unsweetened coconut flakes and part of a banana. Just for reference, I doubled this recipe so that I had enough and man am I glad that I did! My boys absolutely love regular pancakes, almost an unhealthy amount. So I am beyond ecstatic that I have found a healthy alternative that they will eat just as well, if not better! As a Mom I'm always looking for healthier alternatives to foods that kids absolutely enjoy, what are your favorite go-to healthy recipes?! ?